In June 2013, the BCSC released three settlement agreements, one temporary order, and two notices of hearing. IIROC released one decision and three settlement agreements in June 2013 relating to BC residents. The MFDA released one decision in June 2013 relating to a BC resident. Below is a summary of a few of the June 2013 enforcement cases. In two separate settlement agreements, Okono and Godzek each admitted that they illegally sold securities in Armadillo, a Nevada corporation that claims to own an oil lease in Oklahoma. Okono directly solicited people to invest in the partnership agreements and raised over $220,000 from BC residents, while receiving a commission of over $17,500. Okono has given an undertaking to pay more than $27,500 to the BCSC. Under the agreement, Okono is banned, with limited exceptions, from being a director or officer for three years and from purchasing or trading securities. Gozdek directly solicited people to invest in the partnership agreements and raised over $550,000 from BC residents, while receiving a commission of over $40,000. Gozdek has given an undertaking to pay more than $65,000 to the BCSC. Under the agreement, Gozdek is banned, with limited exceptions, from BC’s capital market for five years. 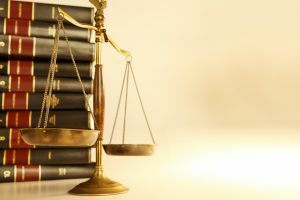 BCSC Settlement Agreement – Kevin Penstock and iTokk Inc.
Penstock admitted that he repeatedly breached cease trade orders (CTOs) against his company iTokk. The CTOs were issued against iTokk, an OTC company based in Vancouver, for failure to file documents. Penstock agreed to pay $55,000 to the BCSC, to take the officers and directors course within one year, and to hire qualified lawyers and accountants as advisers to iTokk. Under the agreement, Penstock is banned from acting as a director or officer of any company or registrant for five years, except for iTokk. Penstock cooperated with the BCSC staff’s investigation. 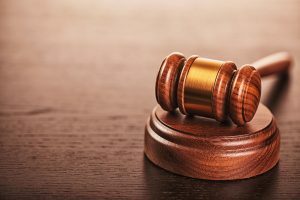 BCSC Temporary Order and Notice of Hearing – Rodney Jack Wharram, Falls Capital Corp, Deercrest Construction Fund Inc., and West Karma Ltd. The BCSC’s executive director issued a temporary order and notice of hearing against the respondents. The temporary order prohibits Wharram from acting as a director or officer or engaging in investor relations activities. The temporary order also prohibits trading in the corporate defendants and investor relations activities by them. The allegations in the notice of hearing have not been proven. Victims of a doctor-turned-fraudster will share in a record restoration of funds recovered through a single B.C. civil forfeiture case. In this case, qualifying victims will recoup approximately 70% of their original investments, with approximately $400,000 of the recovered money going to nine B.C. residents and the rest shared among 12 claimants elsewhere in Canada. An MFDA Hearing Panel fined DeVuono $150,000, ordered costs of $20,000, issued a three year suspension, and imposed the successful completion of a course prior to being registered in the mutual fund industry. Upon conclusion of the suspension, DeVuono is prohibited from ever carrying out leveraged investments for any individual and will be subject to 18 months of close supervision. The Panel imposed these sanctions after finding in an earlier November 2012 decision that DeVuono had failed to ensure that particular investments and a leveraged investment strategy were suitable for two clients. An IIROC Hearing Panel fined Floyd $100,000, ordered disgorgement of $5,860 and costs of $15,000. The Panel also permanently banned Floyd from Registration. The same Panel fined McDonald $35,000, issued a one year suspension, required McDonald to rewrite and pass the two examinations, and pay costs of $5,000. The Panel imposed these sanctions after finding in an earlier January 2013 decision that Floyd made unsuitable recommendations and discretionary purchases in a client’s account and that McDonald failed to supervise the account.